The widespread population declines in many albatross species have been attributed primarily to incidental mortality in marine fisheries. Although there is no doubt that many albatrosses are killed behind fishing vessels, there is often a lack of information on which fleets are responsible; how fast birds are being killed; where, when and exactly how the mortality is occurring, and; which age class or status of bird is most vulnerable to capture. 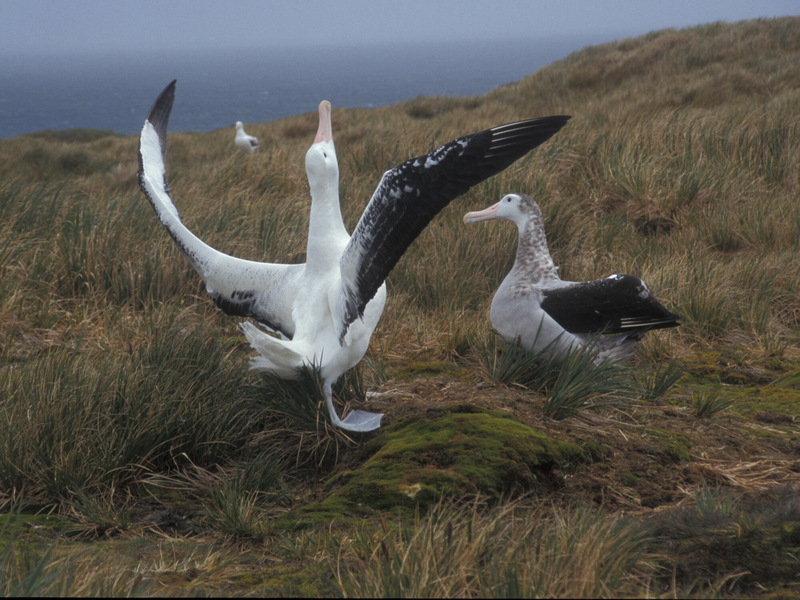 For example, breeding pair numbers of wandering albatrosses at South Georgia have declined by an average of 1.8% per year in the previous two decades. The same applies to the other breeding sites. Detailed demographic monitoring at Bird Island indicates that survival of adults decreased by 1-2%, and of juveniles has approximately halved since the mid to late 1990s. Tracking data indicate that adults from South Georgia have a wide non-breeding distribution and range far into the Indian and Pacific Oceans. Much less is known about the distribution of juveniles. Thus, and in cooperation with Dr. Richard Phillips from the British Antarctic Survey, satellite-transmitters were attached during the 2009/10 breeding season to 12 wandering albatross and 12 black-browed albatross fledglings at Bird Island, South Georgia, to monitor the migration of these un-experienced birds.